The Ideal2 Diamond is the only diamond that yields a Hearts & Arrows pattern when examined through the Hearts & Arrows scope. Additionally, it performs exceptionally well under a “light return” analysis. The finest craftsmen in Canada developed this revolutionary cut. The perfection lies in the symmetrical alignment of each of the 68 facets resulting in a light refection yielding a Hearts & Arrows pattern. Moreover, as the Ideal2 Diamond is cut to “ideal” proportions, it generates scintillation that is beyond any existing standard square cut diamond. 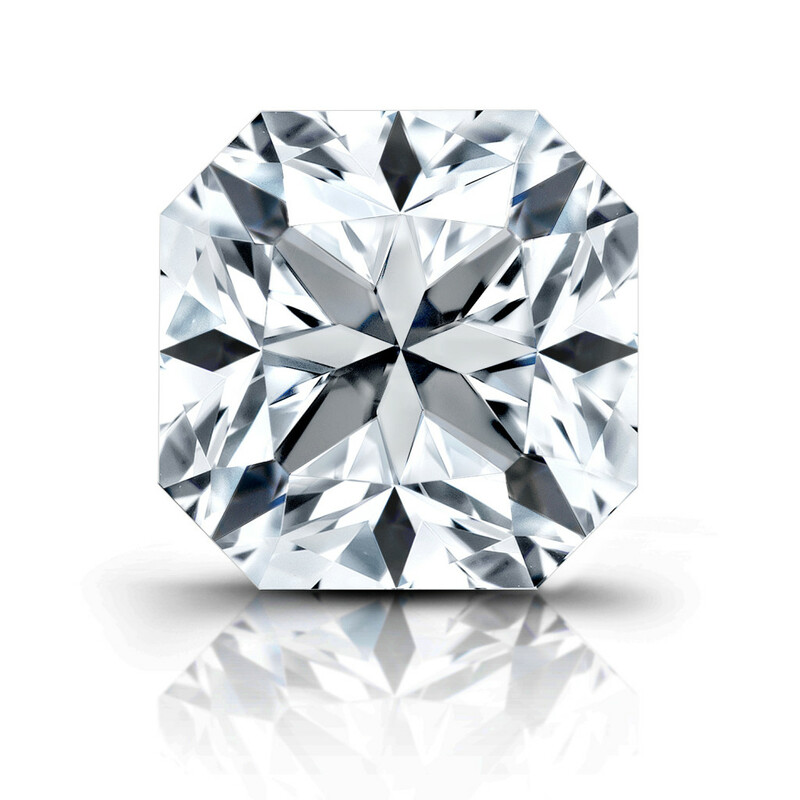 It takes up to three times longer than any standard square cut to achieve the finished quality of the Ideal2 Diamond. The Ideal2 Diamond is cut to the most exacting of ideal standards in terms of proportion, polish and symmetry. Less than 1% of all diamonds mined can be certified as ideal. The innovative design of the Ideal2 Diamond allows it to reflect Perfect Light and Pure Brilliance. The Ideal2 Diamond is the symbol of modern romance: a revolutionary design that maximizes all the classic elements of a diamond’s beauty – brilliance, elegance and fire. In modern romance, a diamond is the messenger of genuine feeling of love. It says, “l love you as you are and because of who you are.” This message originates from the heart and the Ideal2 Diamond is the messenger thereof. With an Ideal2 Diamond, she’ll definitely know how true your love is. Suite 500 - 666 Burrard St.